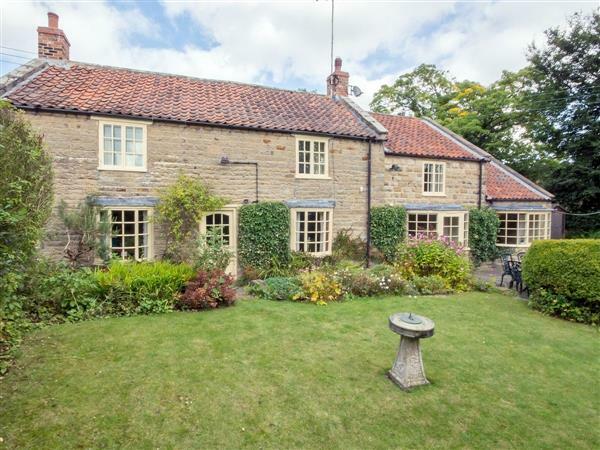 Beck Garth Cottage in Hutton-le-Hole, near Kirkbymoorside sleeps 6 people. Beck Garth Cottage near Kirkbymoorside is set in one of the most picturesque villages of the North York Moors National Park; this beautiful, detached stone-built cottage oozes charm and character. 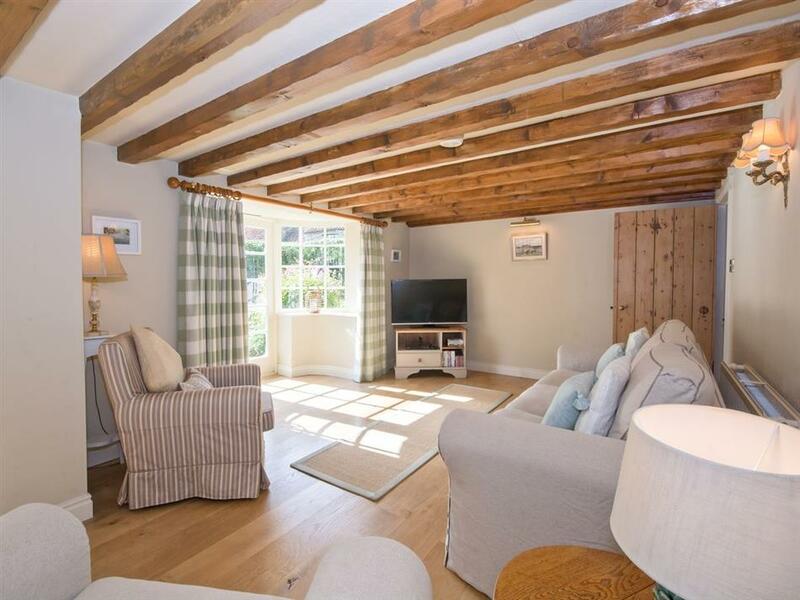 The accommodation is stylishly presented and very spacious, with a farmhouse-style breakfast kitchen and two living rooms, one with a cosy fire and the other overlooking the pretty garden. Hutton-le-Hole is home to the Ryedale Folk Museum, which gives a unique glimpse into the past rural way of life and the village has a delightful selection of craft shops, tea rooms and a traditional inn serving good food. The River Beck runs through the village, where the sheep peacefully roam the grassy banks and there are walking and cycling tracks galore. The quaint market towns of Kirkbymoorside and Helmsley are close by, where there are top quality and quirky shops to browse through, renowned restaurants and delicatessens and attractions including the Helmsley Walled Garden and the International Centre of Birds of Prey at Duncombe Park. The famous North York Moors steam train departs from Pickering (9 miles) and transports passengers to the fishing port of Whitby, and the traditional seaside resorts of Scarborough and Filey are also within an hour’s drive. There are miles of sandy beaches along the coastline and fascinating coves at Robin Hood’s Bay and Staithes. Try mountain biking at Dalby Forest or enjoy family fun at Go Ape and Flamingo Land. There are abbey ruins to visit at Rievaulx and Byland and stately homes at Nunnington Hall and Castle Howard or take a day trip to the historic city of York (35 miles). The shop is 3½ miles, with a pub and restaurant 200 yards from Beck Garth Cottage near Kirkbymoorside. Beamed living/dining room with wooden floor and French doors to garden. Sitting room with open fire. Beamed farmhouse-style kitchen with breakfast area. Shower room with toilet. First floor: Double bedroom with TV and en-suite bathroom with toilet. Two twin bedrooms. Bathroom with shower attachment and toilet. For a better idea of where Beck Garth Cottage is, you can see Beck Garth Cottage on the map below. Beck Garth Cottage is in North Yorkshire; should you be on the lookout for a special offer, you can find all the special offers in North Yorkshire. It's always worth checking to see what is on offer at the moment. Do you want to holiday near Beck Garth Cottage (IZG), you can see other cottages within 25 miles of Beck Garth Cottage; have a look to find your perfect holiday location.